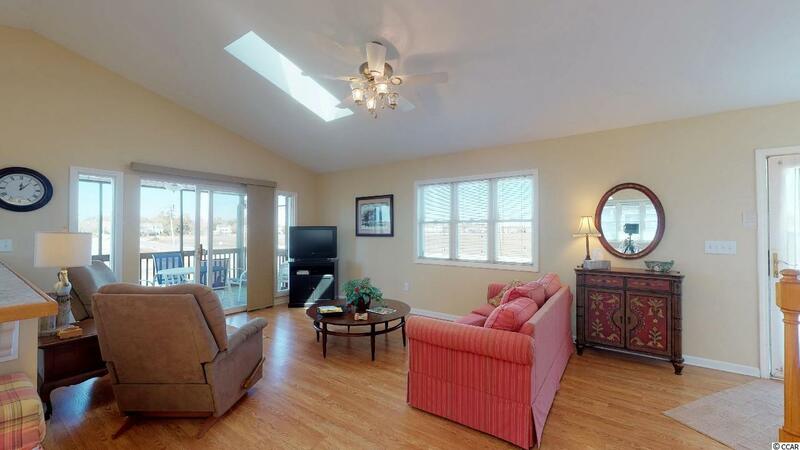 Presenting this vibrant 4 bedroom 4 bath raised beach home located just a little less than 2 tenths of a mile to the sparkling Atlantic Ocean. This bright and open cheerful home offers laminated wood, tile & carpet flooring, vaulted ceiling, skylight, recessed lighting, ceiling fans, spacious main living area that encompasses a delightfully open living/dining floor plan with a sliding glass door that leads out to the inviting screened in deck over looking the marsh and the perfect spot to enjoy an early morning cup of coffee. The fully equipped kitchen which includes a breakfast bar, tile countertops, white on white appliances, and a built-in microwave. 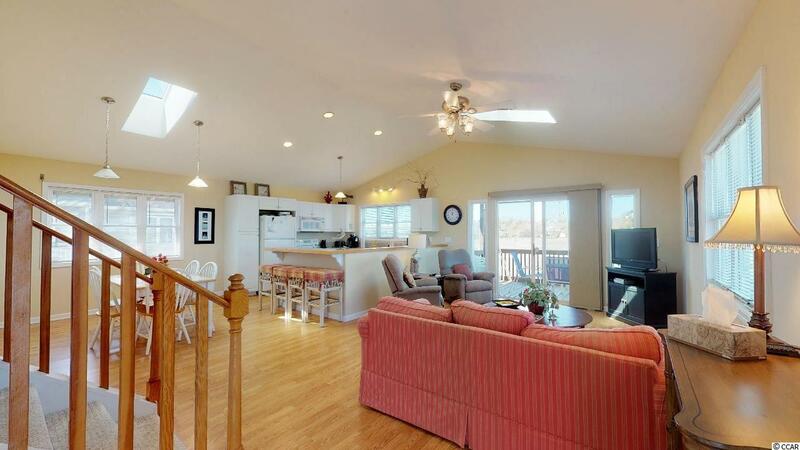 With 2 bedrooms 2 baths downstairs and 2 bedrooms 2 bath upstairs there is plenty of room for everyone. The master suite upstairs comes complete with jetted tub and separate step-in shower. Enjoy the very large sun-sational front deck along with the all-encompassing bird's eye crow nest deck. 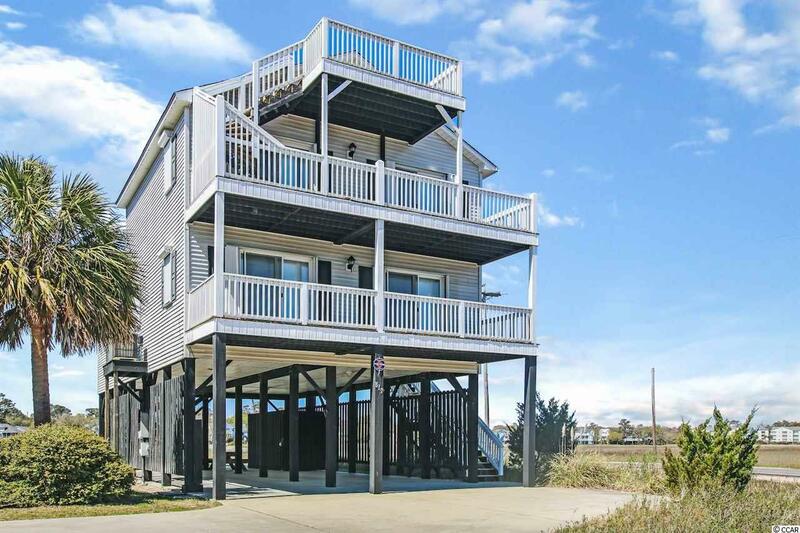 This home provides you close proximity to the beach and golfing along with all the other attractions and amenities of Myrtle Beach and Murrells Inlet, with fine dining, wonderful world-class entertainment, fishing piers, the Marsh Walk, and exciting shopping experiences on the Grand Strand. Just a short drive to medical centers, doctors offices, pharmacies, banks, post offices, and grocery stores. Check out our state of the art 4-D Virtual Tour.